Such a spacious brand-new property and we LOVE this location. Everything in the house is furnished apart from your bedroom. I have Netflix on my big smart TV which is included in the rent and a treadmill :D This will be located in the main shared area downstairs. You will be sharing a bathroom with one other and it is located on the second floor right next to the available bedroom. The room is spacious and will fit a queen bed with extra furniture. Internet will be available and I will be wanting people who are wanting access to that. Buses are nearby, however the house isn't close to trains or tram. 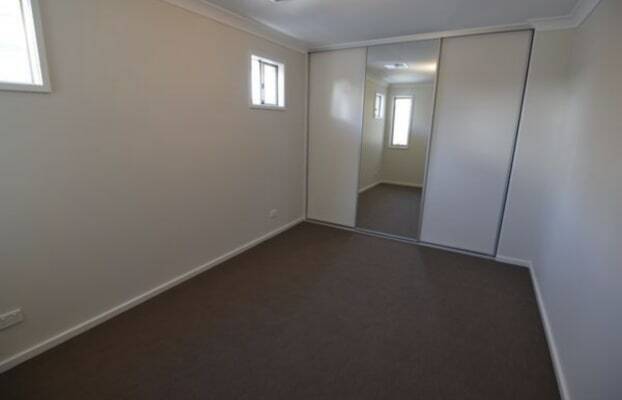 We are looking for someone to move in ASAP as the room is available now. Message us to check it out. We are a couple of girls looking for 1 more roomie. Cassie, 24, works from home most of the time selling/drawing art and also works casually at a clothing store a couple of times a week. Kristin, 25, is a full time marketing and events coordinator working 9-5 mon-fri.
We are both down to earth girls who like the general hobbies of exercise, netflix, casual wine drinking, uber eating, art and cooking. The beautiful Groodle, Skylar (Golden retriever/standard poodle) who turns 2 in April is an inside / outside dog - She is super placid and cuddly and definitely makes you feel happy when you've had an average day. We are looking for 1 neat and reliable people preferably around the same age as us. Someone that works day hours is preferable and is open to making this house a home. Give me a message if you think i'd be a good match for us and the pup!